As spring practice looms around the corner, prospects all over Georgia are starting to receive offers from all corners of the nation. Gwinnett County is a hotbed for college recruiting, with what is questionably the most loaded county with football talent in the state. From Power 5 to D3 and JUCO schools, colleges all over the country know they can come to Gwinnett to find top-quality talent. One 2020 player getting a lot of attention is Parkview linebacker, #6 Kobe Wilson. 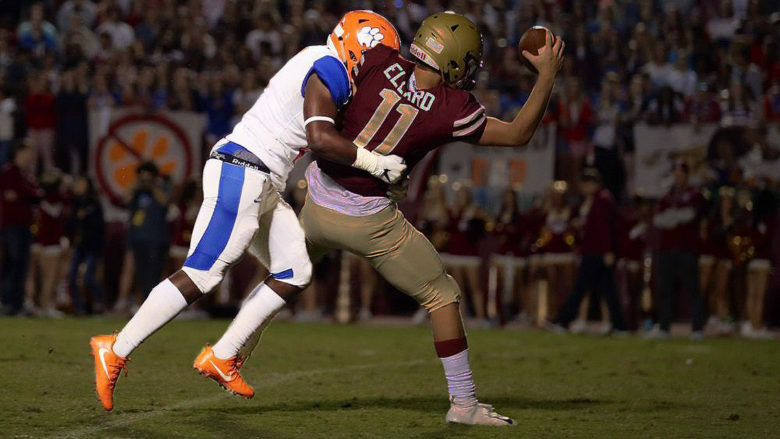 With his breakout season happening during Parkview’s undefeated regular season last year, Wilson had well over 100 tackles, and physical qualities that will attract top programs. He currently has offers from Troy, Coastal Carolina, South Alabama, Liberty, Georgia State, Naval Academy, Samford, Bowling Green, Mercer, Howard, Georgia Southern, Memphis, Furman, Southern University, and his first Power 5 in Pittsburgh. Be sure to checkout Kobe Wilson’s profile on Recruit Georgia and be sure to follow us on Twitter for the latest recruiting news.